Photo courtesy of Purina Best friends: Choosing the perfect dog for you should take a lot of thought. 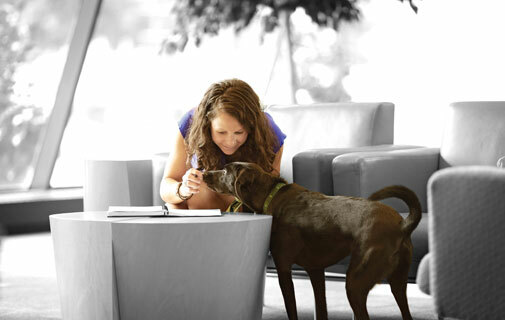 Photo courtesy of Purina Companion: A dog will be a constant source of joy. 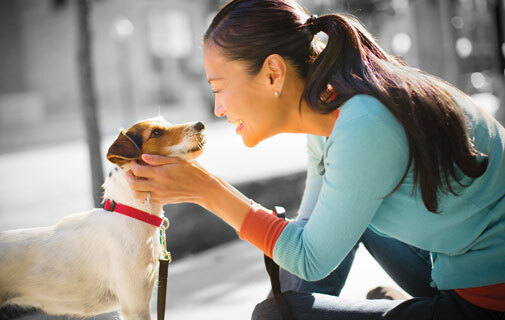 As man’s best friend, dogs are known for their loyalty and companionship, but how do you pick the perfect pooch for you? Once you’ve decided to get a dog, there are some important factors to consider when choosing your canine companion. With more than 300 dog breeds around the world, the choice can be overwhelming, so it’s best to make a list of all your personal preferences. This should include how noisy you want your dog to be, how active and how sociable. You also need to take into account your lifestyle, work schedule and home environment. Becoming a dog owner cuts both ways, and you not only need to consider your personal needs but those of your dog too. It would be unfair to bring a big, energetic, boisterous dog back to a tiny apartment for example, just as it would to take a tiny toy dog on a long run each day. Finding your perfect match however, is easy thanks to an online ‘Breed Selector’ from pet food supplier Purina. On the Purina.com website, the company has created a ‘quiz’ that will narrow down hundreds of possibilities into the dogs that are right for you. The ‘Breed Selector’ can be found under the site’s Dogs/Dog Breeds headings, and will take you through the process in a series of easy steps. You may even be surprised at the results as they can suggest certain breeds you’ve never even heard of. The first step is to complete stage one, by picking a series of ‘choices’ as to the kind of dog you are looking for. ‘I’m looking for a dog that will be good at … (Choose one or more: Hanging out with children; sporting or hunting; being a companion; interacting with strangers; hanging out with other pets; no preference). ‘I can tolerate … (Choose one: No; minimal; some; heavy; no preference) shedding and I plan to groom my dog … (Choose one: Daily; weekly; monthly; rarely or never; no preference). ‘My dog will be alone … (Choose one: 0-4; 4-6; 6-8; no preference) hours per day in my home, which is … (Choose one: A home with no outdoor space; a home with a small yard or nearby park; a home with a fenced-in yard; a home with abundant outdoor space; no preference). The Breed Selector then lists ‘Qualities of your ideal dog’ and ‘Your lifestyle considerations’, along with the matches best suited to you. There are 176 breeds on the Purina website, giving you a world of choice. I’ve always considered getting a Labrador but the Purina Breed Selector suggested 103 other options as my ‘top dog’. My ideal qualities were: A good companion; alert and welcoming to visitors; occasional barks; minimal weekly grooming; and in need of some training. As for lifestyle, my dog would have to be left alone for six to eight hours a day while I was out at work. For environment, my home has a fenced-in garden/yard. I was surprised to see some unusual, more ‘exotic’ breeds among my results. My options ranged from ‘household name’ dogs to ones I had never even heard of, such as the Saluki, Komondor, Samoyed and Schipperke. Another useful feature of the Purina website is its Breed Library. This features photos of each breed plus its size, height, weight, coat, colour, energy and activities. There are full descriptions of the breeds and their heritage, plus ‘living considerations’. It all makes interesting reading. One of my options for example, was the Norwegian Elkhound, which originated in Norway in 5,000 BC. The dog is described as “a versatile, hardy, rugged Scandinavian breed used by the Vikings to hunt elk and bear”. It continues: “His strength and stamina are unmatched. Bold, friendly and deeply devoted to his human companions, this dog is a good fit for families with children. The 176 breeds are also categorized under subheadings such as Best Companion Dogs, Best Breeds for Families, Smartest Dog Breeds, Working Dogs, Non-sporting Dogs, and more. If you are a cat fan, then the Purina website also can help you. Go to the Cats heading and you will also find a ‘Breed Selector’ under Cat Breeds. For more information, and to find the best breed of dog for your lifestyle, visit www.purina.com.